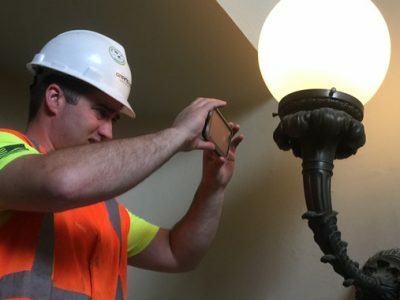 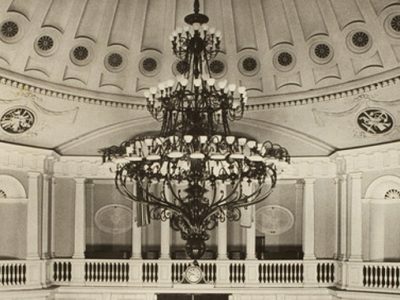 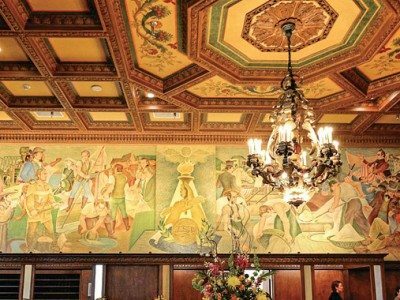 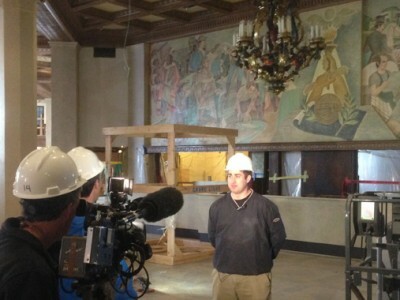 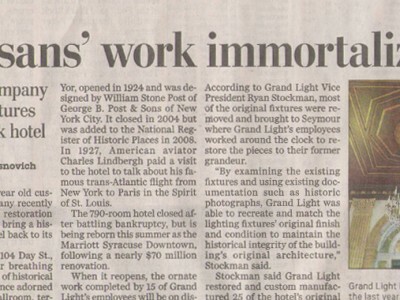 Grand Light's lighting restoration experts restored the Grand Ballroom historic crystal chandeliers & plaster wall sconces from the Marriott Syracuse Downtown. 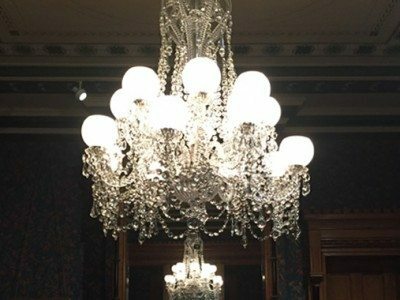 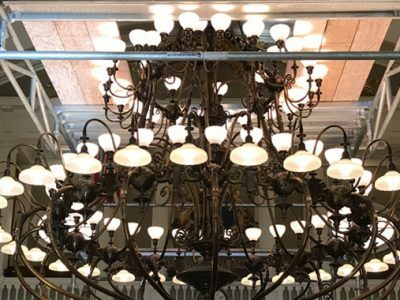 Grand Light's restoration specialists recently restored a historic crystal chandelier from Wadsworth Atheneum's Goodwin Parlor. 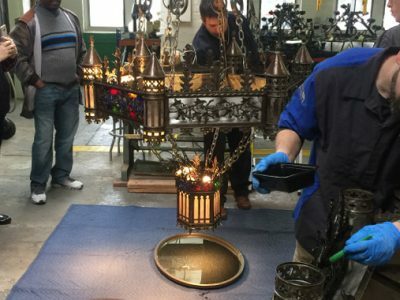 On-site specialists diligently undressed all crystal strands and disassembled all components for transportation to the Grand Light's lighting restoration and custom lighting manufacturing facility. 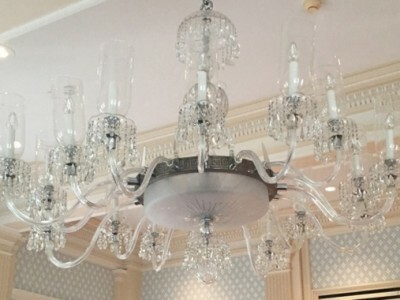 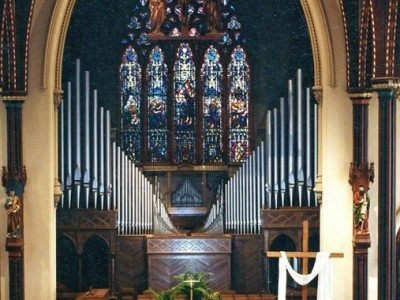 Grand Light's lighting restoration team recently revisited the famous Otesaga Resort Hotel days before the 2016 National Baseball Hall of Fame Induction Ceremony to repair damaged components on an antique crystal chandelier.